If you have any mini PC systems powered by Rockchip’s RK3188 quad-core processor you might be pleased to learn that a Ubuntu and other Linux operating systems are now available to run on the devices as well as the standard Android OS that probably came with the device. The new Linux support follows on from the release of the Linux source code for the MK802 IV mini PC with an RK3188 chip, by Rikomagic, which has been the starting point for a number of developers ago run Ubuntu Linux on similar systems including the QC802 and Tronsmart T428. The Linux software is booted from a SD card in most cases and shouldn’t cause any problems with leaving you Android operating system intact as a roll back option. However beware that most Rockchip’s RK3188 quad-core processor mini PC systems are still without support for WiFi, Bluetooth, or hardware-accelerated graphics. 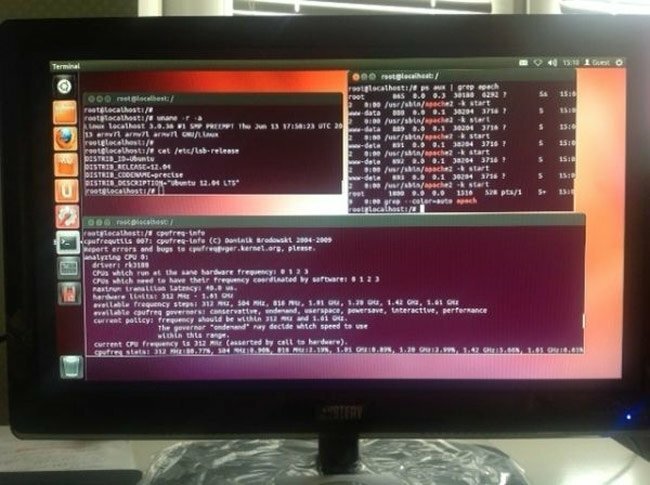 For more information on installing the Ubuntu operating system on your Rockchip RK3188 quad-core processor powered mini PC jump over to the Ian Morrison website for details and full instructions,as well as some benchmarks for a few devices.